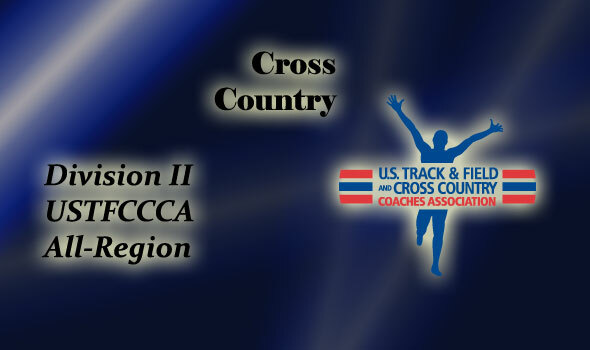 NEW ORLEANS – The U.S. Track & Field and Cross Country Coaches Association (USTFCCCA) recognized nearly 400 athletes that earned All-Region awards for cross country in Division II following this weekend’s NCAA Regional Championships. Athletes of member schools that finished in the top 25 individually at one of the eight regional sites earned the honor. Chico State led men’s teams with seven athletes earning All-Region honors, followed by Grand Valley State, Alaska Anchorage, Tampa, UMass Lowell, and Colorado Mines, and Adams State which had six each. On the women’s side, Grand Valley State bested the field with seven honorees, and were followed by Stonehill, Shippensburg, Adams State, Tampa, Alaska Anchorage, and Chico State with six apiece. Among conferences, the RMAC led with 22 men’s honorees, followed by the PSAC (21) and the Northeast-10 (21). The GLIAC and PSAC each had 21 women named to the All-Region team, followed by the Northeast-10 (19). This was the first year in which the USTFCCCA recognized the top 25 finishers from the NCAA Regional Championships as All-Region honorees. Previously the distinction went to the top 15 among the regions’ top finishers. The GNAC will host the NCAA Division II Cross Country Championships, November 19, at the Plantes Ferry Sports Complex in Spokane, Wash. The USTFCCCA will release the final regular-season national coaches’ poll of the season in Division II on Wednesday. In addition, regional athletes and coaches of the year will be named Wednesday.